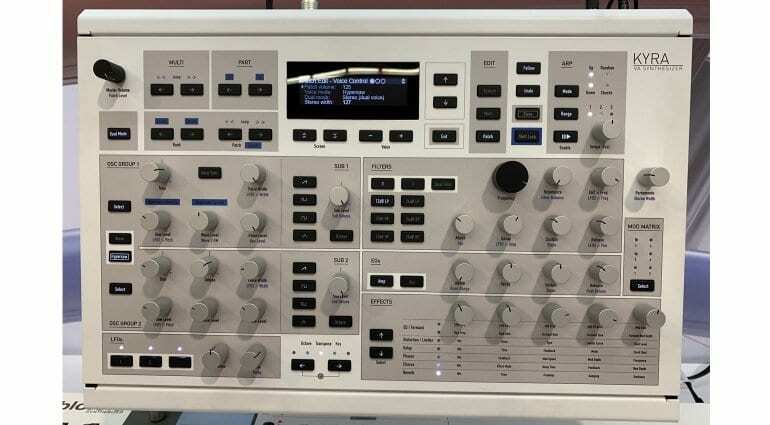 We first saw the FPGA powered Valkyrie synthesizer from Exodus Digital at Musikmesse last year. It was chunky and strange but powerful and stacked full of potential. Waldorf CEO Joachim Flor saw it, loved it and took it under Waldorf’s wing and KYRA is the result of that collaboration. It’s altogether more pleasing on the eye and looks rather wonderful. 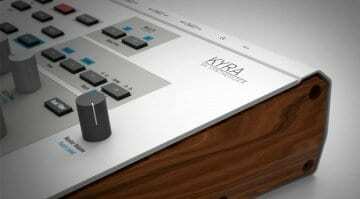 KYRA is a 128 voice, 10 oscillators per voice virtual analogue synthesizer. 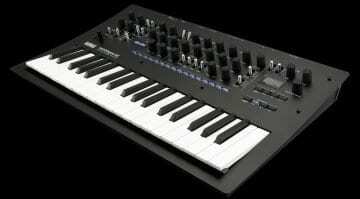 It’s 8 part multi-timbral, the oscillators are in 2 groups of 5 giving a total of 1280 actual oscillators. There are over 3000 wavetables to select from and they are oversampled by the FPGA engine so have no aliasing whatsoever. It has a Hypersaw mode which sets all oscillators to sawtooth with spread and detuning. 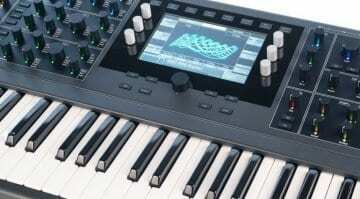 There are three LFO’s per part that run wavetable shapes. 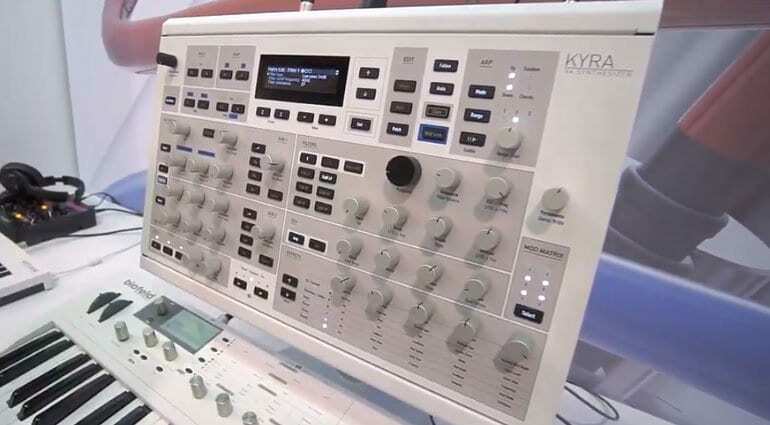 On the sound processing side there are dual analogue modelled ladder filters that can be used separately or together and there are three envelope generators, one for the filter, one for the amplifier and another that can go to whatever you like. At the end is a 9-algorithm 6-part DSP effects section. There’s also a 6-slot modulation matrix with 3 destinations for each source. 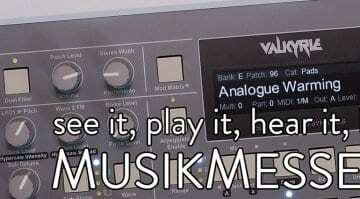 Oh, and an arpeggiator. All in all the specs are almost identical to the Valkyrie we saw last year. Undoubtedly the look, the layout and the display have been improved but the engine was pretty much there already. Price and availability are not known although they suggest it’s coming very soon.